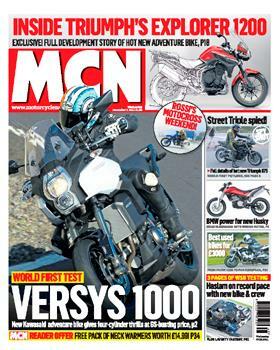 In this week's issue of MCN, on sale Wednesday December 7, we test the 2012 Kawasaki Versys 1000 and find out if a four-cylinder adventure bike makes any sense? 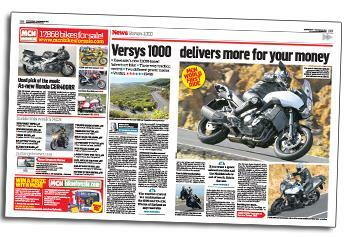 We chart the full development story of the new Triumph Tiger 1200 Explorer, Husqvarna's new G650GS powered road bike, and all the news from the WSB test at Portimao. 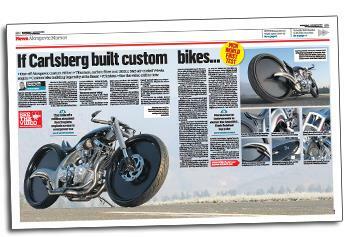 Also in this issue, we ride the incredible Akrapovic Morsus. 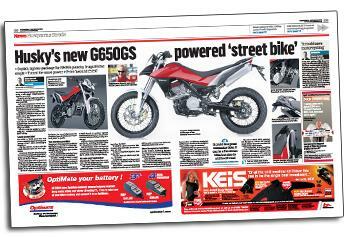 Husqvarna has unveiled the Strada, a street bike concept based on the BMW G650GS, which it says could be on sale in September 2012, and is aimed at younger riders. 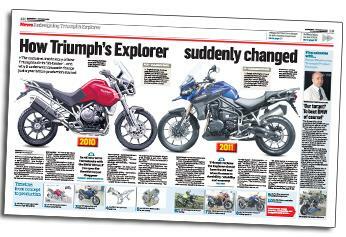 The exclusive, inside story of how Triumph built its 'GS-beater' - and why it underwent dramatic change just a year before production started. Factory customs don’t get any more ‘factory’ than this. Say hello to ‘Morsus’, a unique custom machine built for aftermarket exhaust giant Akrapovic. 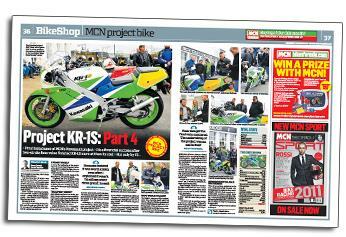 MCN's Steve Farrell takes his completed Kawasaki KSR-1S to the Ace Cafe's 'Blue Haze Sunday' to see what the public think the bike is worth after much fettling. 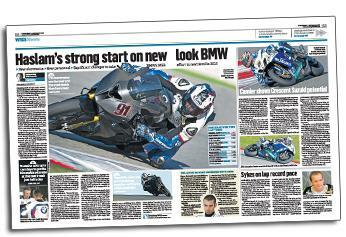 Sweeping staff changes and a revised electronics system saw BMW Motorrad rider Leon Haslam make significant steps to the front of WSB during three days of testing at Portimao last week.